The talking point reflects the popular expectation, built over a decade of Grand Theft Auto releases and numerous imitators, that open-world games necessarily meant a sandbox. In popular expectation, they'd come to mean large maps littered with side quests and diversions, and key story missions that could be triggered out of order. This is especially true of crime thrillers, and absolutely true if they were major releases. 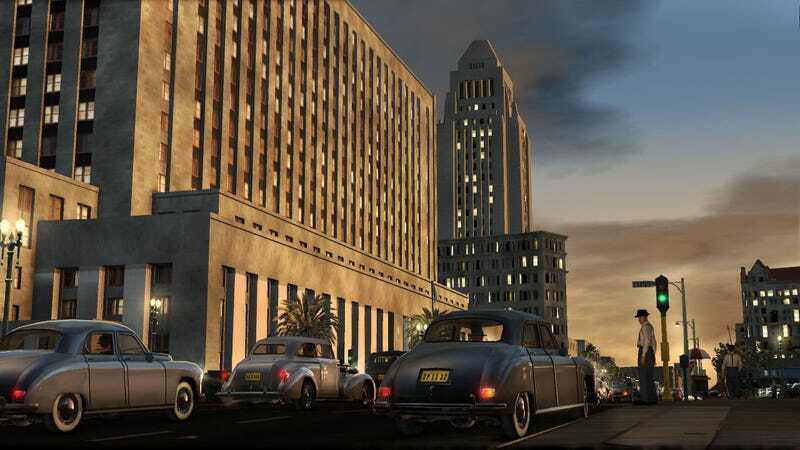 What it ultimately means, is like Mafia II you are given a beautiful, vast landscape that the game allows you to explore only on strictly controlled terms, especially within the main story. And I'm trying to figure out why I find that acceptable in Los Angeles but not in Empire Bay. Especially when L.A.'s environment in Noire is double the size of Empire Bay's.